The impressive quality of this home, designed for comfortable tropical living maximizing the Caribbean cooling breezes and natural light. 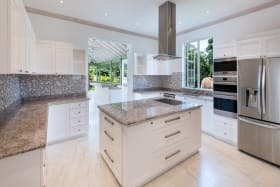 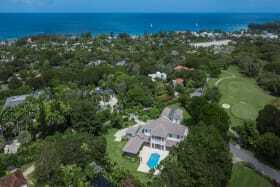 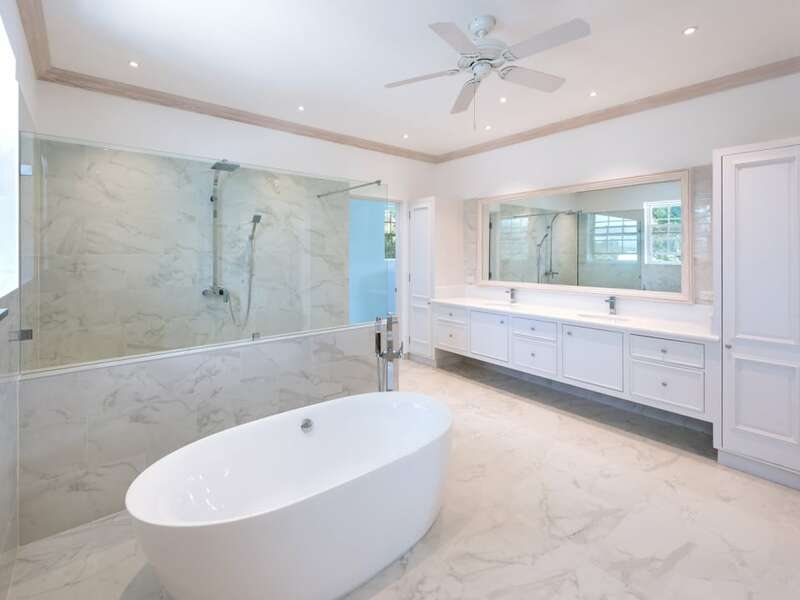 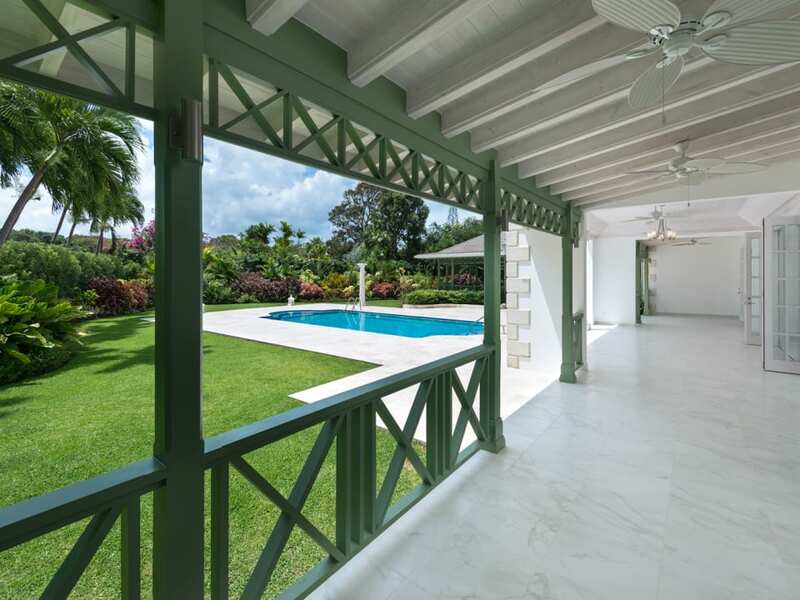 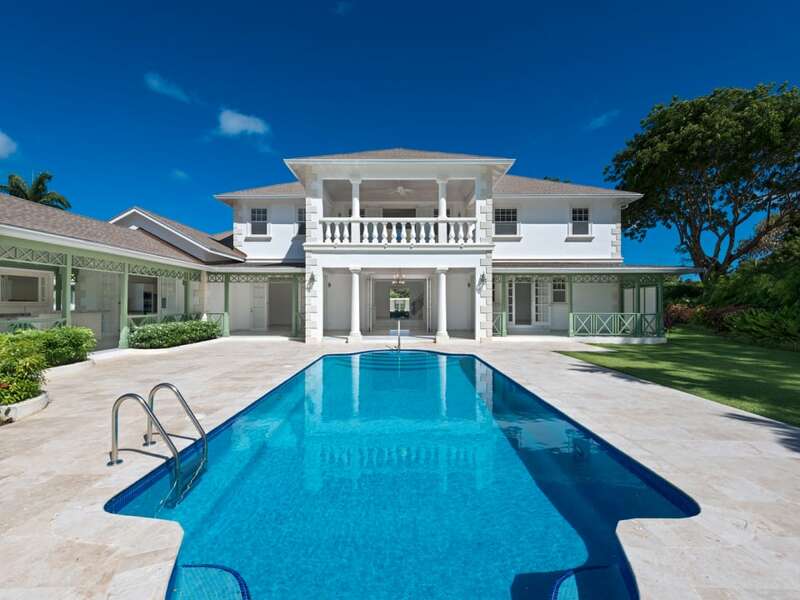 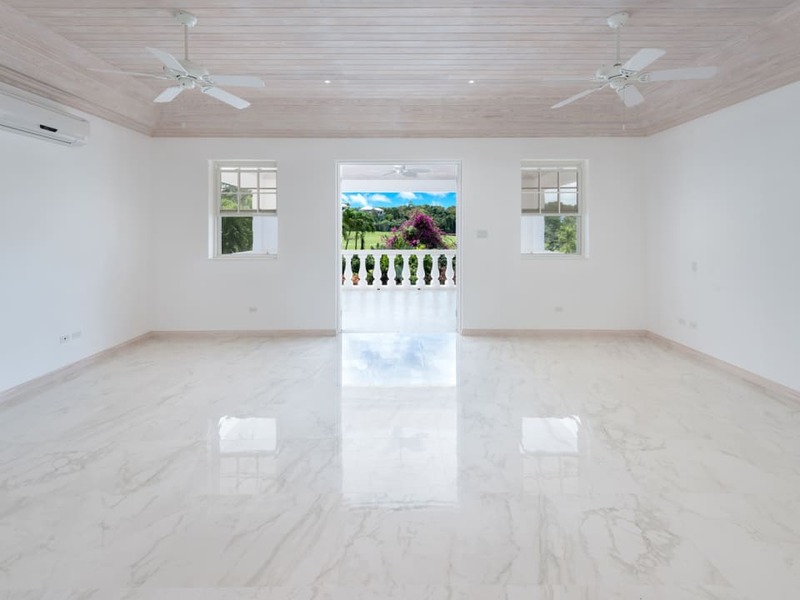 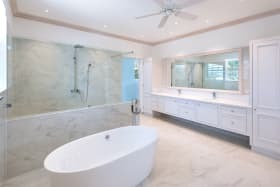 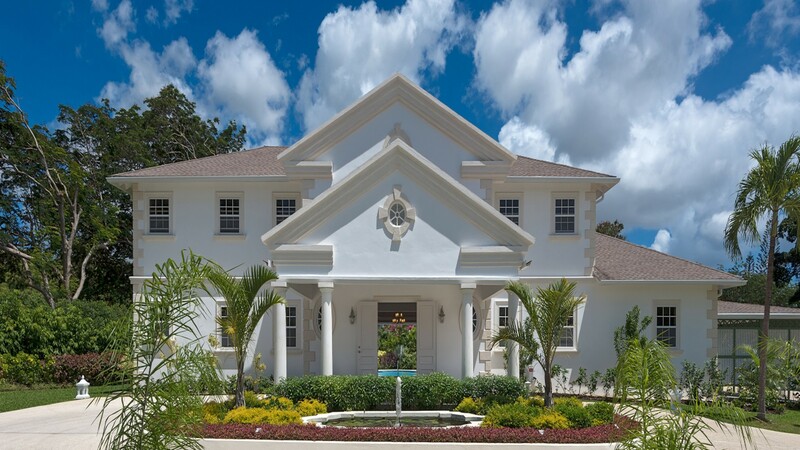 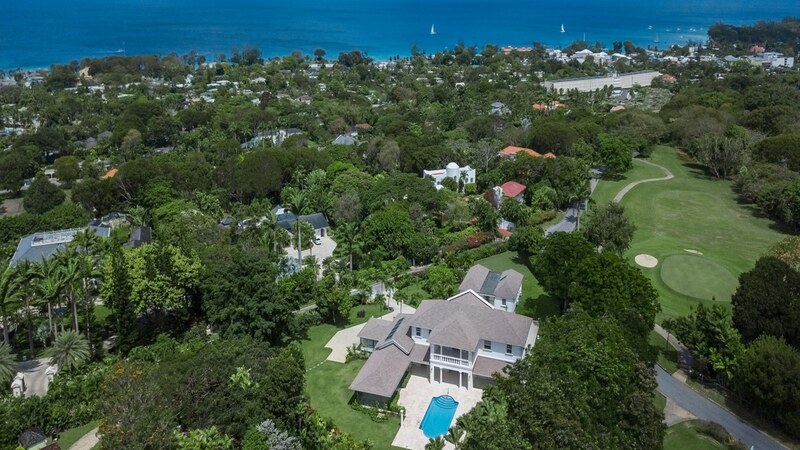 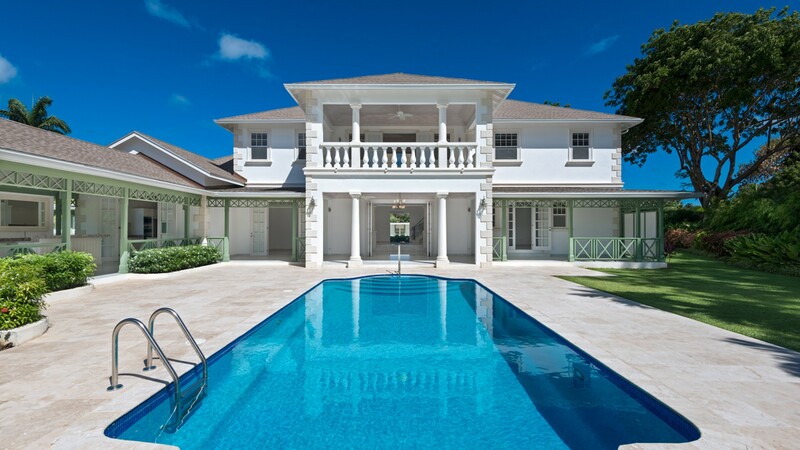 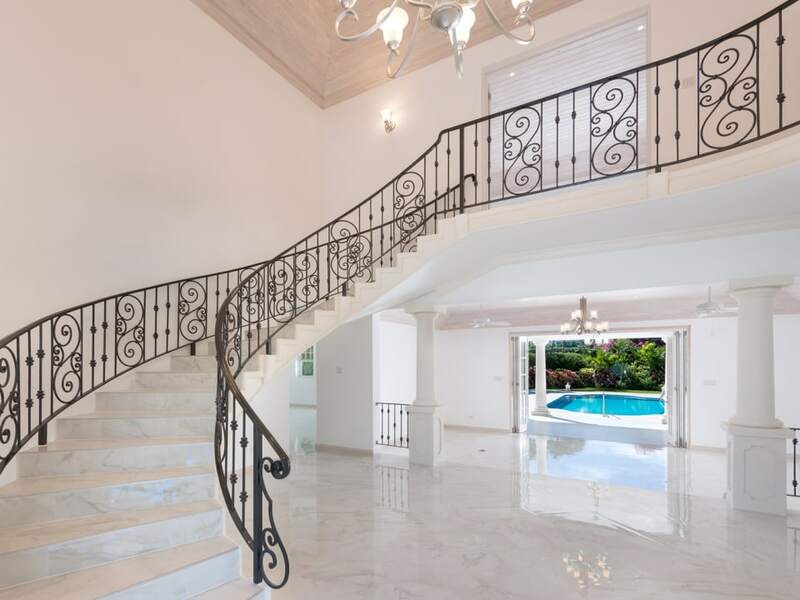 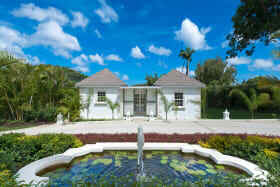 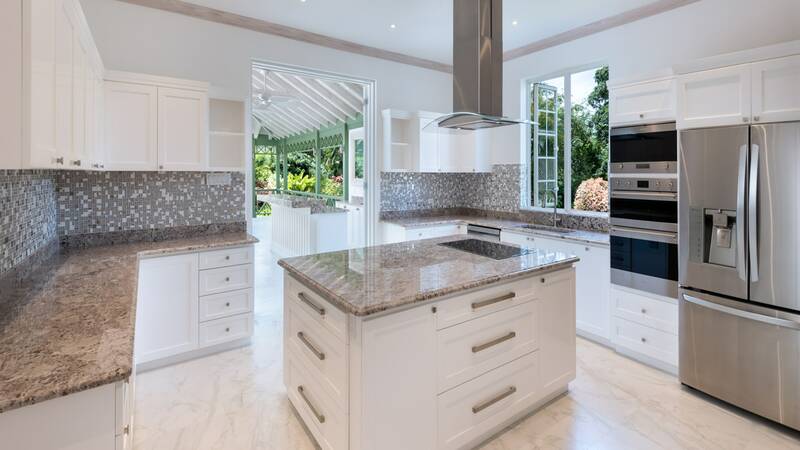 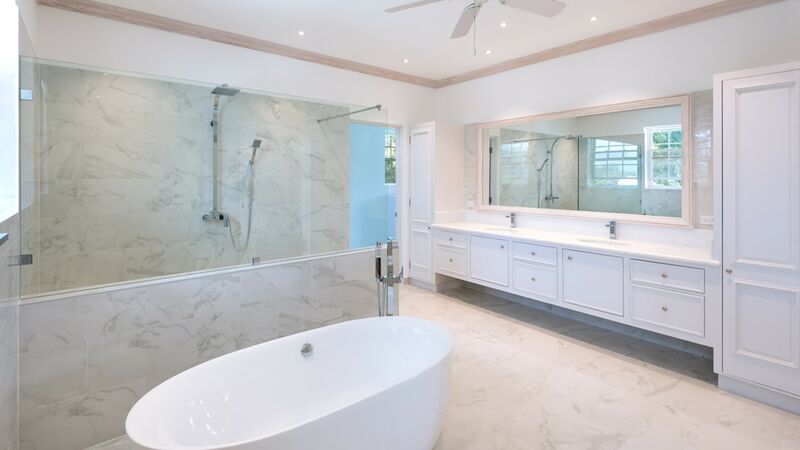 Sugarlands is a new six bedroom villa located at Cooper HIll, Sandy Lane Estate adjoining the Old Nine golf course. 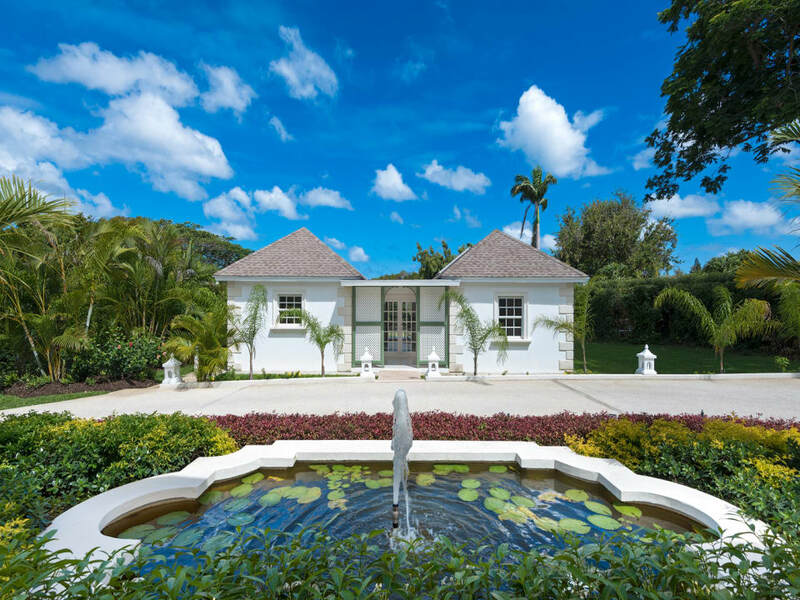 The main house consists of 4 bedrooms plus a media room and office (or child's bedroom) and there is a separate 2 bedroom cottage on the well landscaped grounds. 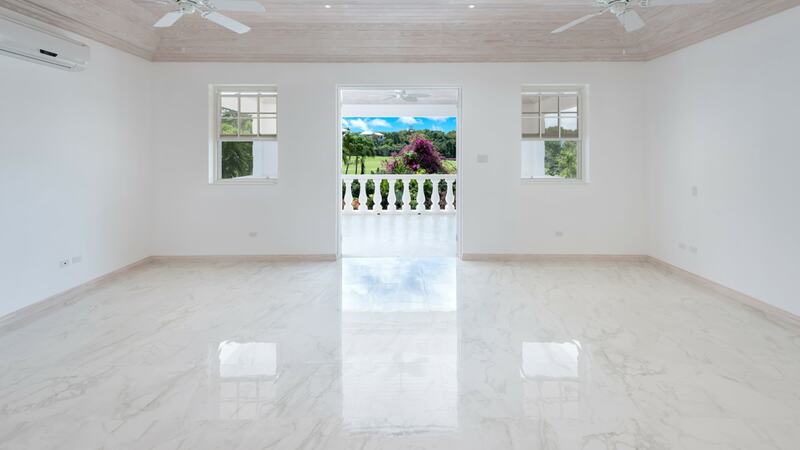 The property has great views of the golf course from the master bedroom. 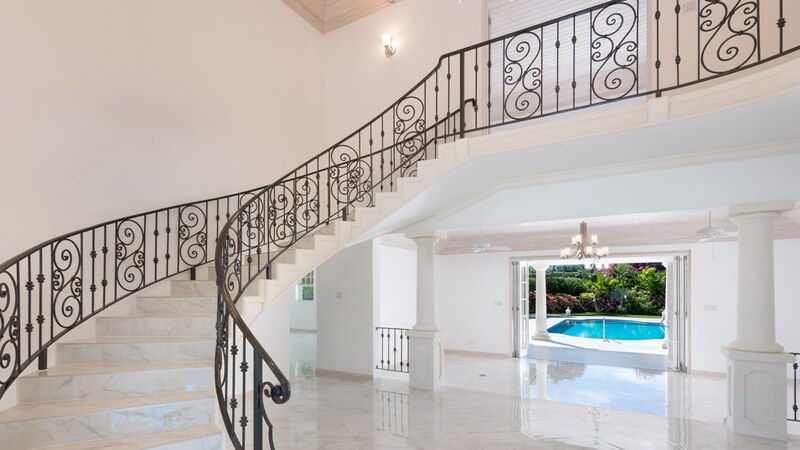 On the ground floor as you enter the home there is a double height foyer with a stunning circular staircase leading to the upper floor. 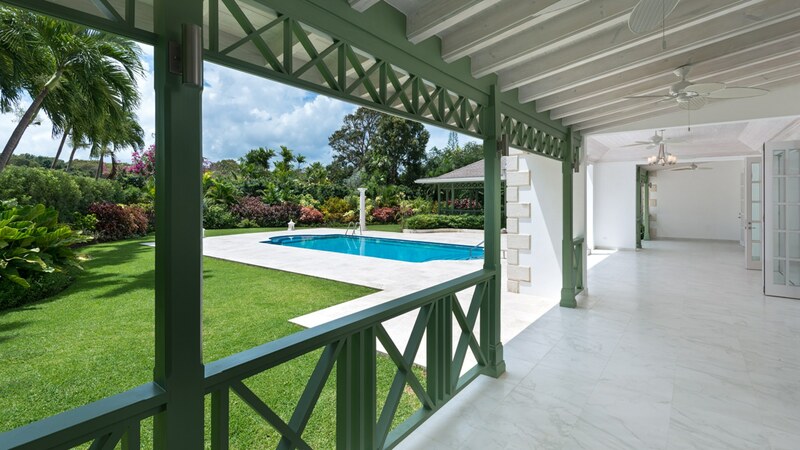 The view from the entrance is right through the lounge doors to the covered terrace, pool and beautiful tropical gardens. 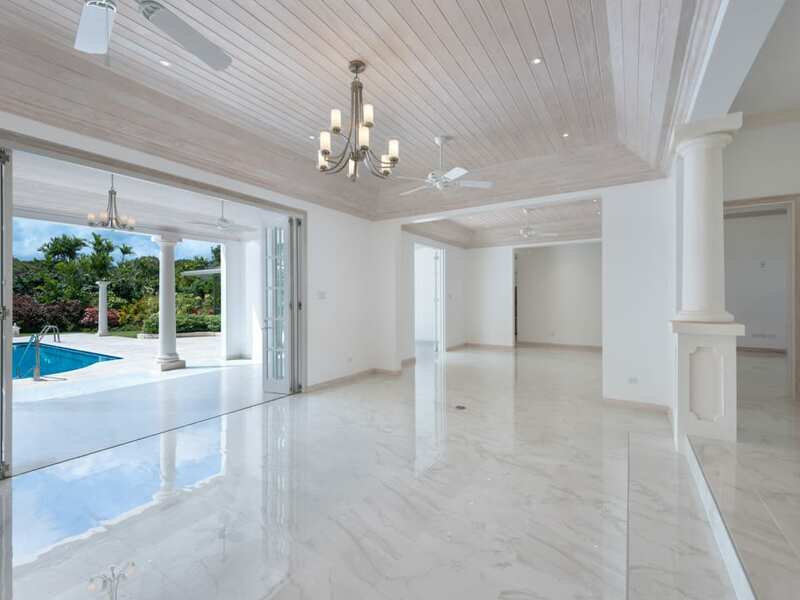 Each room is generous in size and the open plan kitchen has been designed to lead to a spacious poolside bar, dining pavilion and lounge. 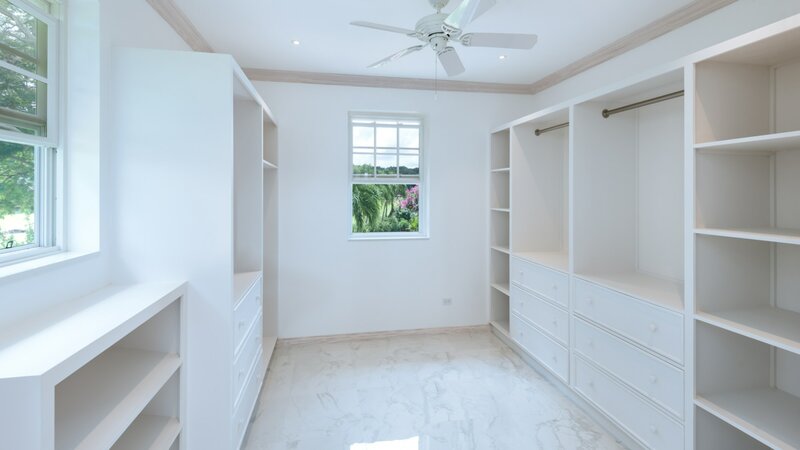 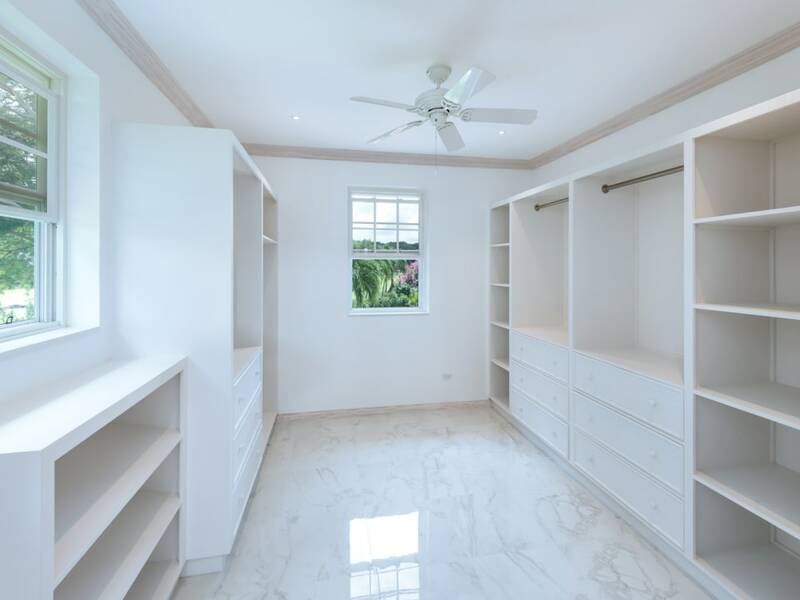 The upper floor consists of a spacious master bedroom with adjoining office/gym/child's room and a huge master bathroom with expansive walk-in closet and dressing area. 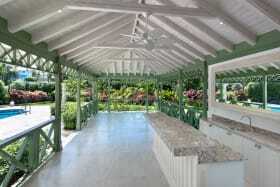 There is one other guest suite on this level. 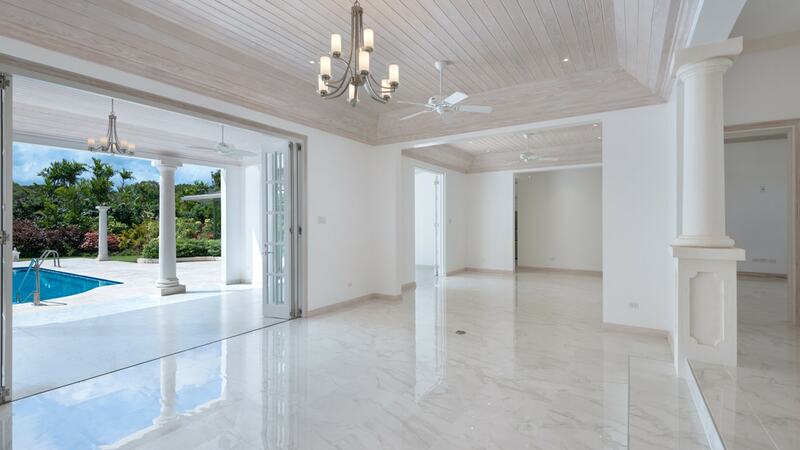 There are 2 guests suites on the ground floor as well as a media room. 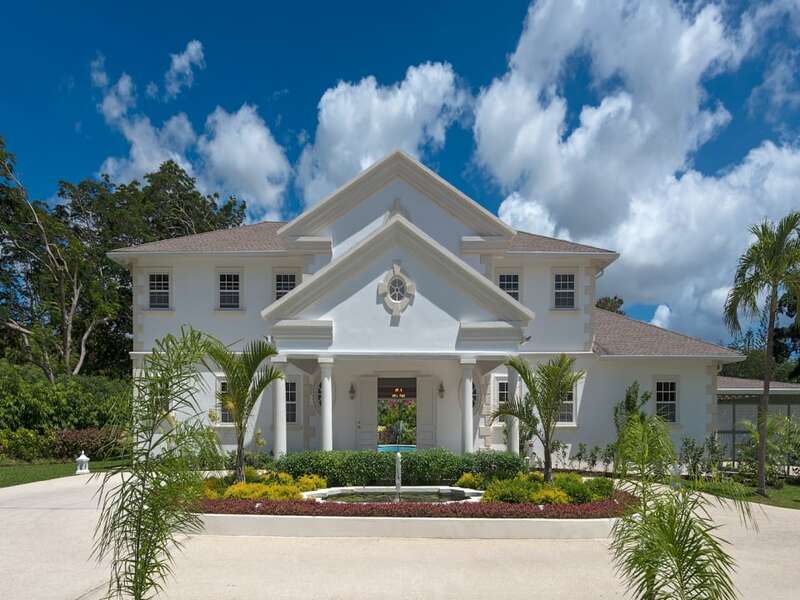 All the bedrooms, office and media room are air-conditioned and there are ceiling fans throughout Sugarlands. 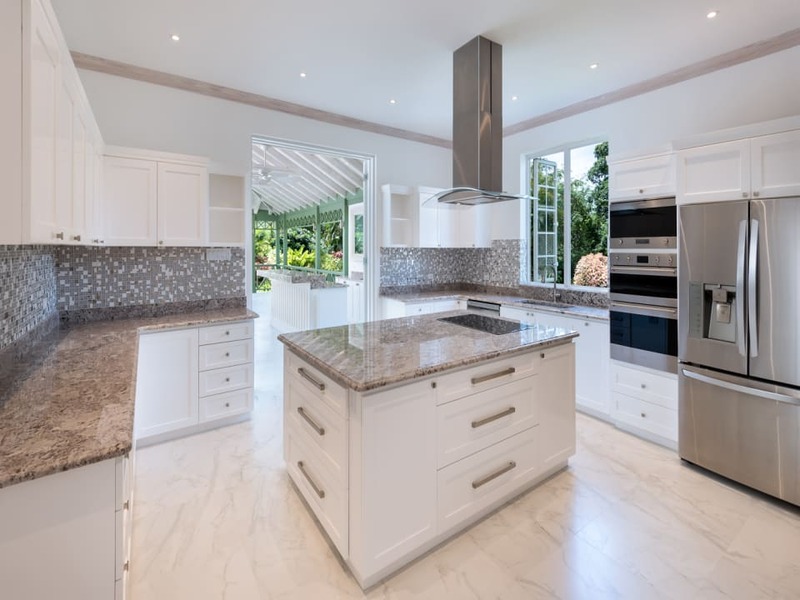 From the kitchen there is access to the double garage, large laundry room, storage and staff bathroom. 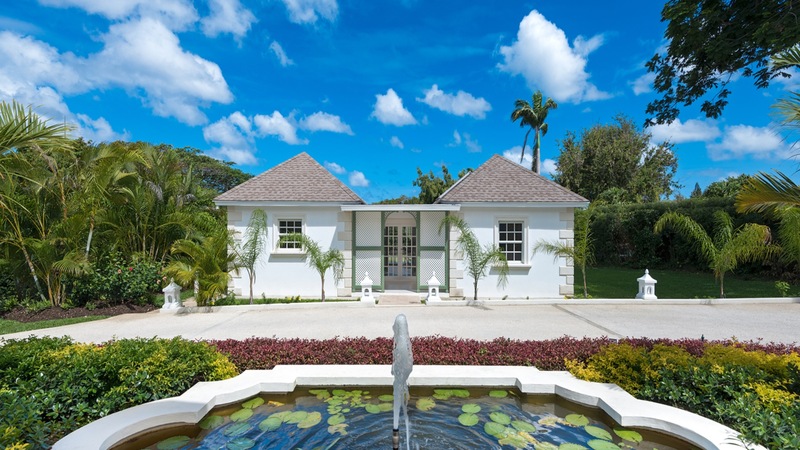 The house has an impressive entrance with water feature and porte cochere and the separate 2 bedroom, 2 bathroom cottage has it's own full kitchen, sitting room and terrace. 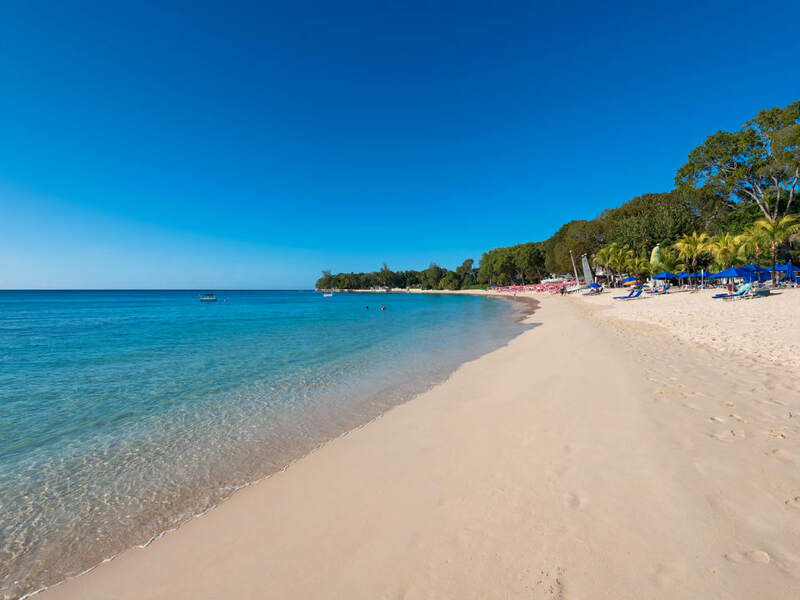 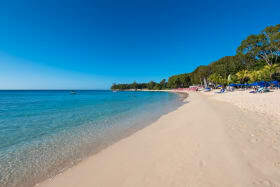 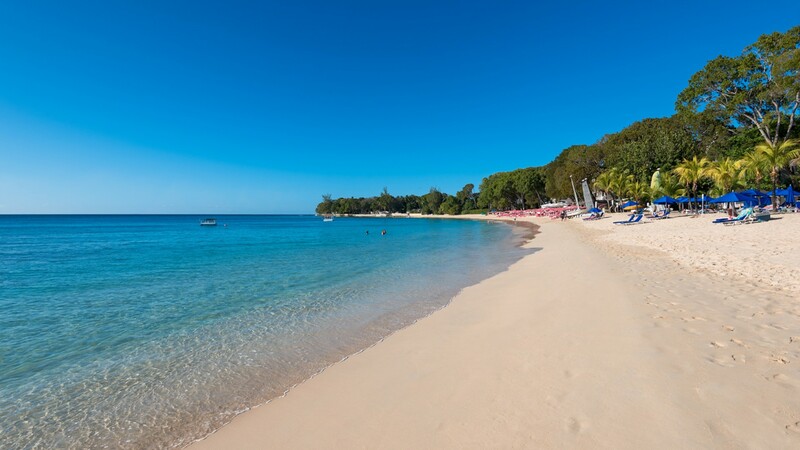 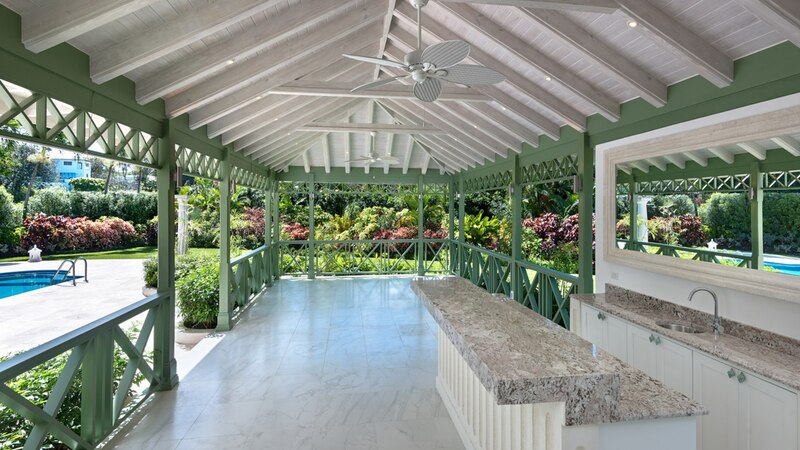 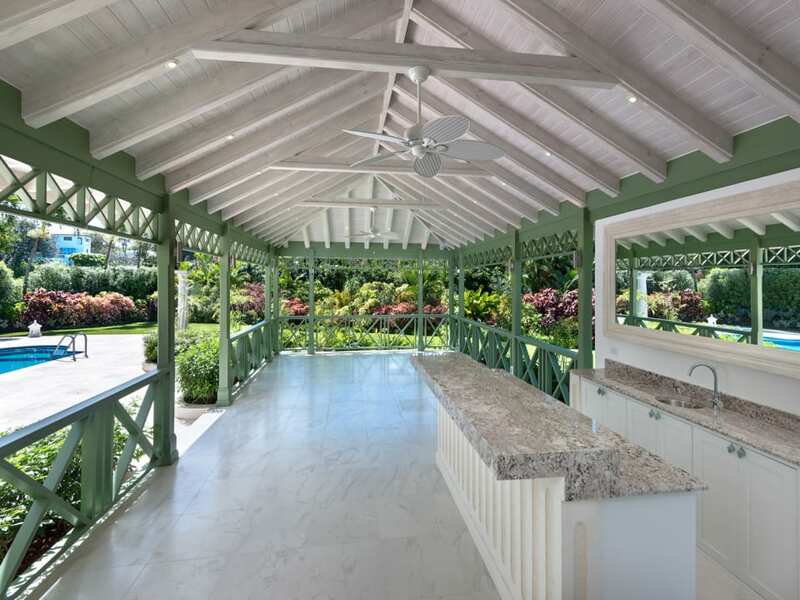 Residents of Sandy Lane Estate enjoy the exclusive use of the stunning newly-renovated private beach facility at famous Sandy Lane Beach, alongside Sandy Lane Hotel. 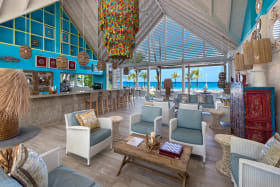 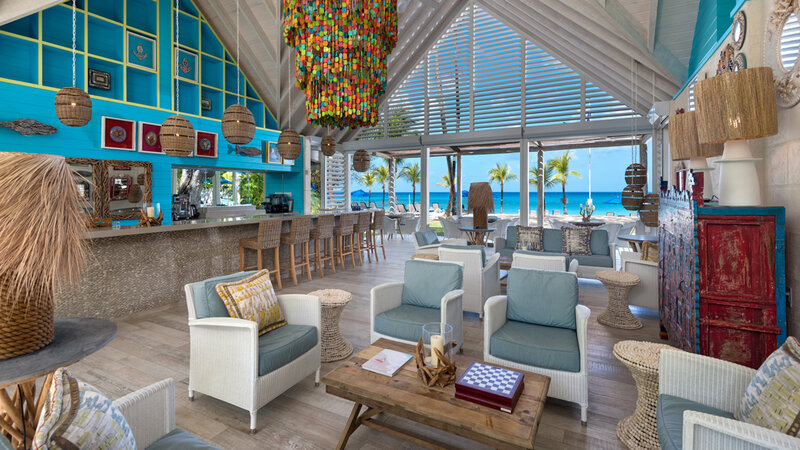 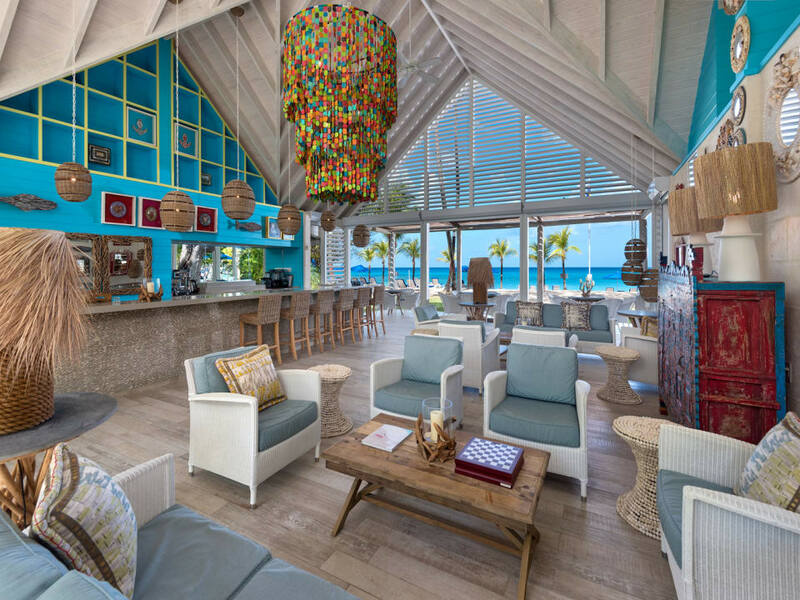 Services at the beach club include changing rooms, beach chair service as well as a cafe and bar. 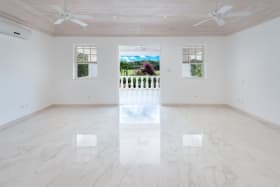 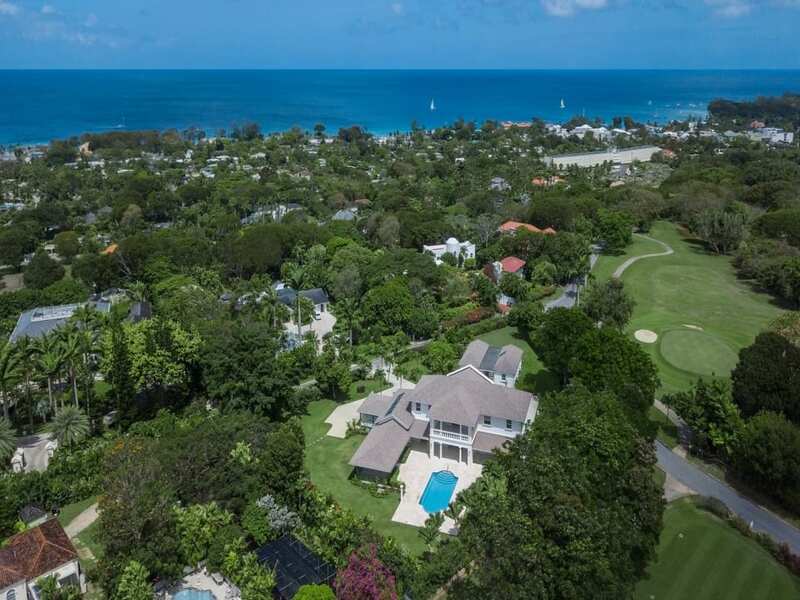 There are flood lit tennis courts that Sandy Lane home owners may use as well as the Sandy Lane Golf Club which has three golf courses – the Old Nine, the 18 hole Country Club and the Green Monkey. 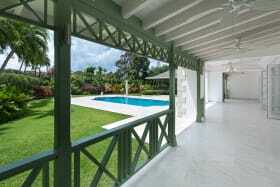 The property is offered complete with all modern kitchen and laundry appliances, but otherwise unfurnished. 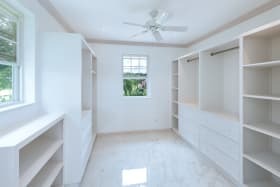 However the listed price includes a budget amount of USD $150,000 for a buyer to select their own furnishings for the house and cottage.